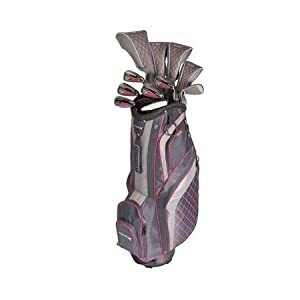 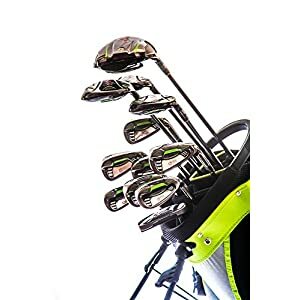 8 PIECE SET INCLUDES: 1 each 16 degree Driver Fairway Wood, 1 each 25 degree Hybrid, 2 each wide sole perimeter weighted Irons, 1 each two-ball-style Putter, stand/carry bag and 2 golf club covers. 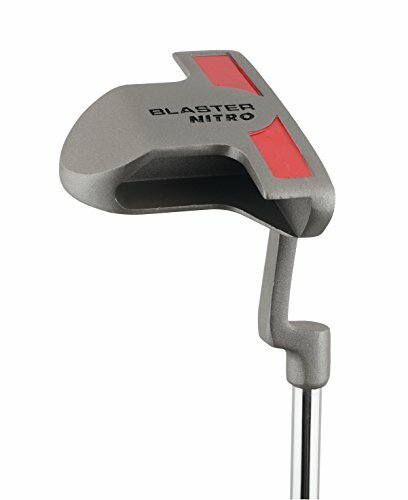 This set is right-handed. 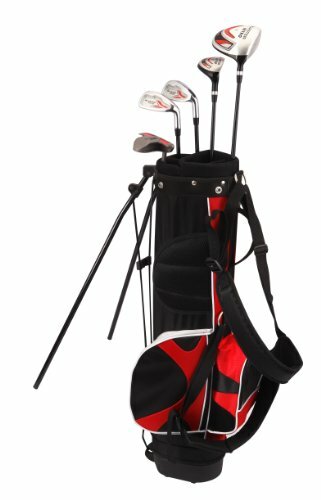 GREAT STARTER SET Recommended for 9-12 years. 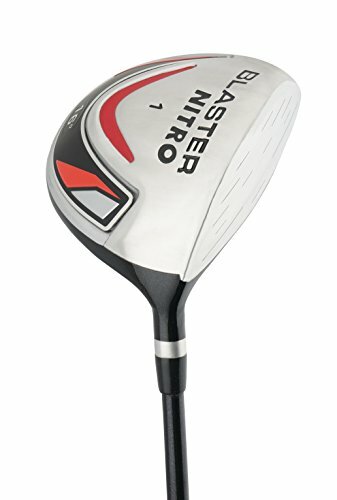 The Nitro Blaster Kid’s Golf Set is the perfect starter set for the young golfer. 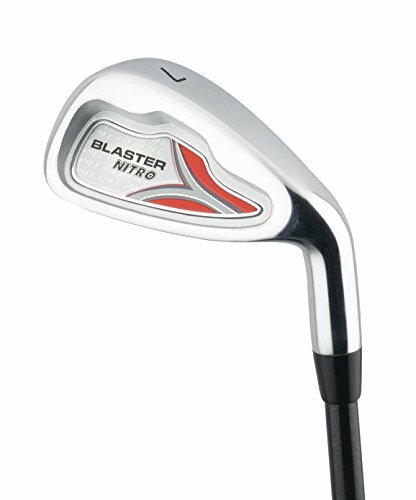 PGA CERTIFIED QUALITY Steel and Graphite for extra durability and strength. 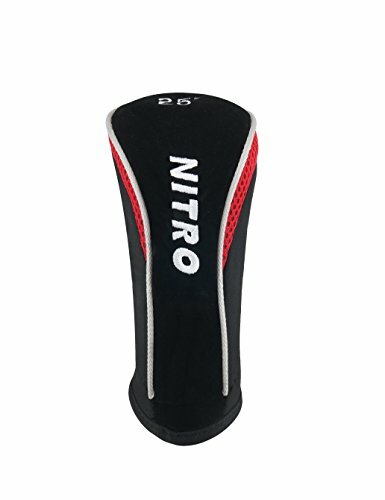 Right-handed grips. 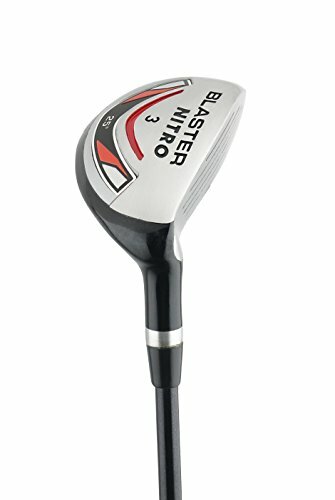 DESIGNED FOR KIDS TO EXCEL Flexible shafts, high lofted clubs help to develop young players and keep them interested in golf for years to come. 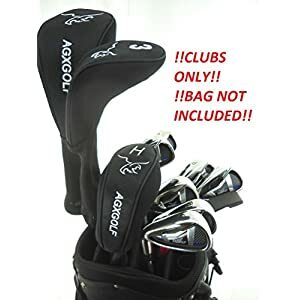 EASY CARE INSTRUCTIONS This kid’s golf set made of steel, graphite and plastic easily wipes clean with a dry or damp cloth.